Hong Kong Disneyland Resort (HKDL) this week hosted a Chinese New Year celebration with guests in the park, kicking off a month of festivities at the resort for the Year of the Sheep. HKDL also officially announced a HK$2,500,000 grant from both The Walt Disney Company and HKDL for several youth programs this year, which have been created with support from the Hong Kong Design Centre, the Hong Kong Federation of Youth Groups and local institutes. The funding aims to encourage creativity in the younger generation and positively impact the community through happiness. Bill Ernest, President and Managing Director, Asia, Walt Disney Parks & Resorts, and Andrew Kam, Managing Director of HKDL, were joined by a number of officiating guests at the ceremony. They included the Guest of Honor, Carrie Lam, Chief Secretary for Administration of the Hong Kong SAR Government; Elina Lee, Director of Partnership, Marketing & Communications, Hong Kong Design Centre; and Andy Ho, Deputy Executive Director of the Hong Kong Federation of Youth Groups. Alongside God of Fortune Goofy, they greeted guests and wished the people of Hong Kong a prosperous Chinese New Year. Busch Gardens Tampa has welcomed another endangered western lowland gorilla. The female gorilla was born on Feb. 6 at 8:30 p.m. and is being cared for by 27-year-old mother Mary. Guests will be able to see the baby gorilla on the Myombe Reserve habitat in the coming days, along with the rest of the gorilla troop. Or, check out the Busch Gardens YouTube channel now for a first look! 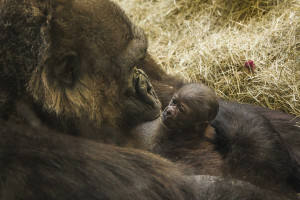 “The first month will be the critical period as the mother, Mary, and the infant begin to integrate into the current gorilla troop, so the Busch Gardens animal care team will be monitoring their progress closely,” said Jeff Andrews, vice president of zoological operations for Busch Gardens. The Santa Cruz Beach Boardwalk needs to fill an important role in their 2015 summer television special. They’re looking for someone who is ready to propose marriage to their sweetheart, on camera at the Boardwalk. 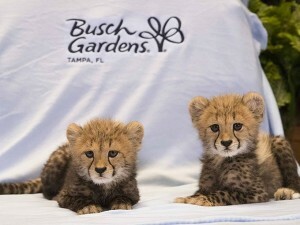 Busch Gardens Tampa has welcomed two new adorable additions – three-month-old cheetah cubs. The Busch Gardens animal care team is providing 24-hour-care as the cubs continue to get stronger and explore their new home. Once the cubs are old enough, they will start their own coalition as part of Cheetah Run, the innovative cheetah habitat that opened alongside Busch Gardens’ triple-launch coaster, Cheetah Hunt, in 2011. Until then, guests can see the cubs at various times throughout the day in the Edge of Africa area of the park, or by taking an Animal Care Center Behind The Scenes tour through Sunday, March 1. 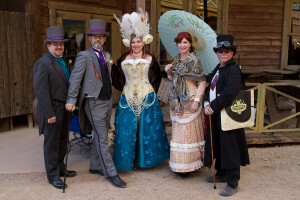 Old Tucson and the Arizona Steampunk Society present the Wild Wild West Con 4 Steampunk Convention & Festival on Friday, March 6 thru Sunday, March 8, 2015 from 10:00 am to 6:00 pm. Wild Wild West Con is America’s first and only Steampunk convention/festival to take place in a western-themed town and is the largest Western-style Steampunk Convention in the United States! Hundreds of devotees will descend upon Old Tucson outfitted in full Steampunk regalia. The Con’s Mad Science theme is sure to be reflected in Steampunk fashion and accessories. Visitors to Old Tucson will get a glimpse of this growing phenomenon where it belongs – in an Old West setting. The unique atmosphere of Victorian sensibilities combined with retro-futuristic technology presents Old Tucson guests with fabulous photo opportunities as well as access to selected Con activities including the WWWC4 Steampunk Costume Contest, a Kids Zone, an absinthe tasting ($20 charge – limited capacity), performances by Loop Rawlins, a Steampunk vendor village with more than 60 vendors, street performers and Old Tucson shows and activities. Old Tucson admission is $17.95 for adults and $10.95 for children ages 4 to 11 (children 3 and under are admitted free).